September 2007 was a very dry month, with nice temperatures but cool nights. The Riesling grape in general on our estate ripened ideally for a long time, but never went into over ripeness. Perfect health, vibrant acidity and good phenolic ripeness mean that the Rieslings are dry, nervous, very mineral and racy in 2007. This wine mostly originates from gravely soils from the Herrenweg vineyard located in the warm village of Turckheim, but we also added some richer limestone vineyards to complete the cask. This explains why it opens quickly in its youth, showing attractive fruity flavours, but if kept for a few years, it will also develop serious minerality. Our aim was to be able to harvest an elegant potentially dry Riesling. Not having any noble rot developing was a serious help, as the richness didn’t skyrocket as time passed. The fermentation was quite lazy, which explains the later bottling date, but eventually the yeast managed to transform most of the sweetness. 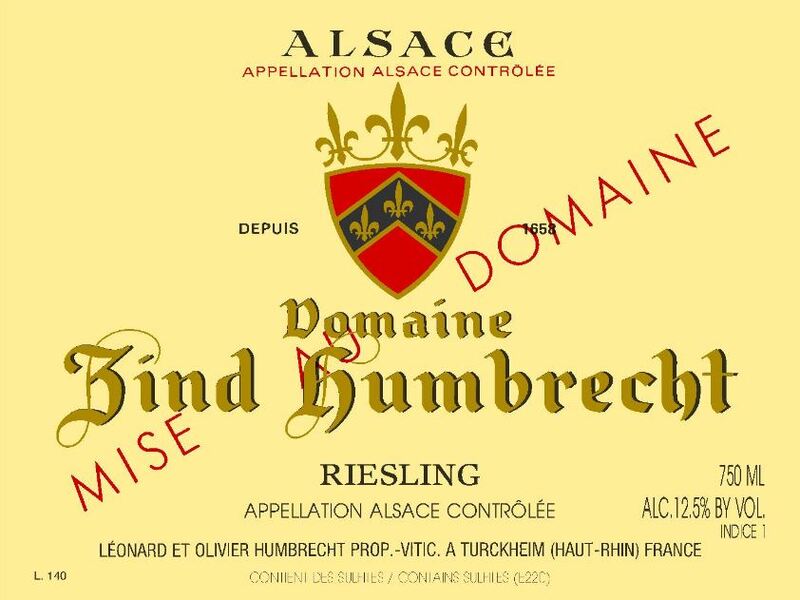 11/2008: still on its fine lees, but already showing classic vibrant Riesling aromas, full of fresh flowers, wet stones and a hint of minerals. The palate is elegant, harmonious, feels completely dry and finished on a refreshing acidity. Exactly what this Riesling should be!